We offer tailored age-appropriate and culturally relevant programming to groups of youth and the people who care for them. We facilitate dialogue around curated excerpts of fiction and easy-to-digest concept models which explore key themes and challenges facing youth today. Our goal is reduced youth trauma, suicidality, and sexual/gender based violence. Contact us below to request our full catalogue and workshop descriptions. What region you are based in? We are based in South Florida, however we go on seasonal tours in April and October, so we may be coming to your area. For nonlocal bookings during other months we include a travel & lodging stipend. DO YOU WORK WITH YOUTH? ARE YOU PASSIONATE ABOUT THESE TOPICS? 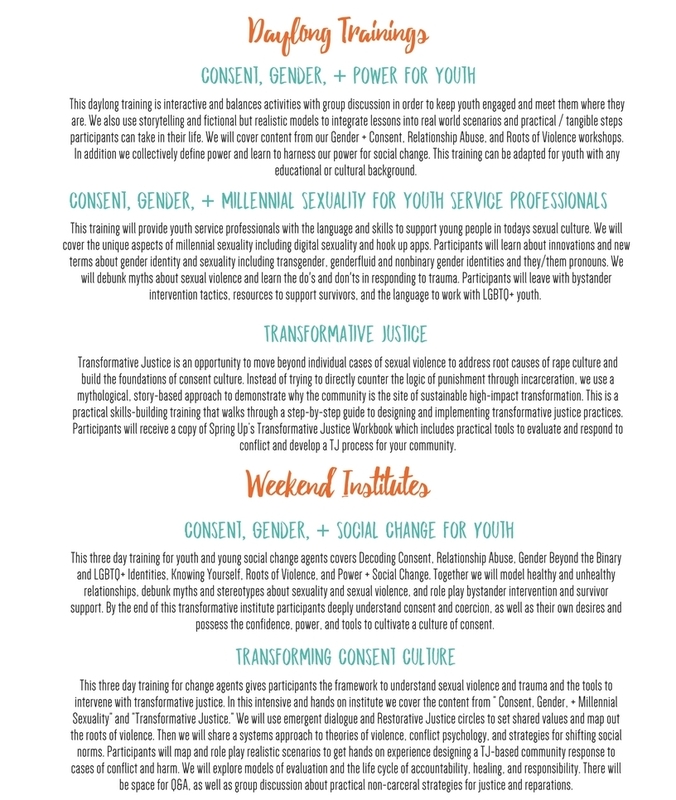 JOIN OUR PATREON COMMUNITY FOR PROFESSIONAL DEVELOPMENT ON CONSENT, GENDER, SEXUALITY, AND TRAUMA.